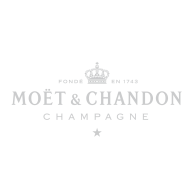 From viticultural techniques to the invention of new celebration gestures, the innovative spirit has always defined Moët et Chandon, which is one of the world’s largest expansive champagne producers. 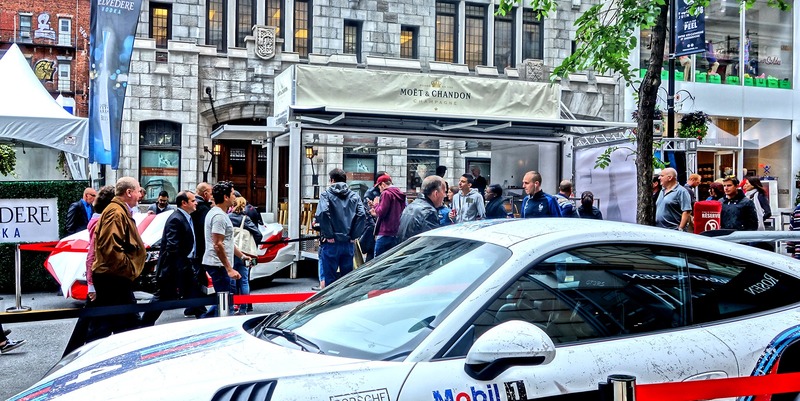 What better place to promote Moët et Chandon’s products than during one of Montreal’s most prestigious international event? 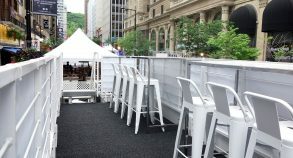 The Formula 1 Grand Prix du Canada! 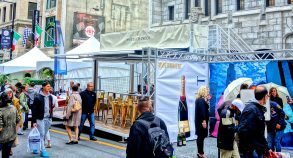 The company took advantage of the abundant free traffic generated by the event which brings thousands of people downtown, to promote its products. 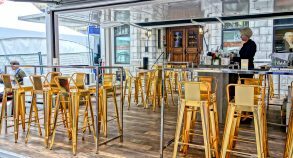 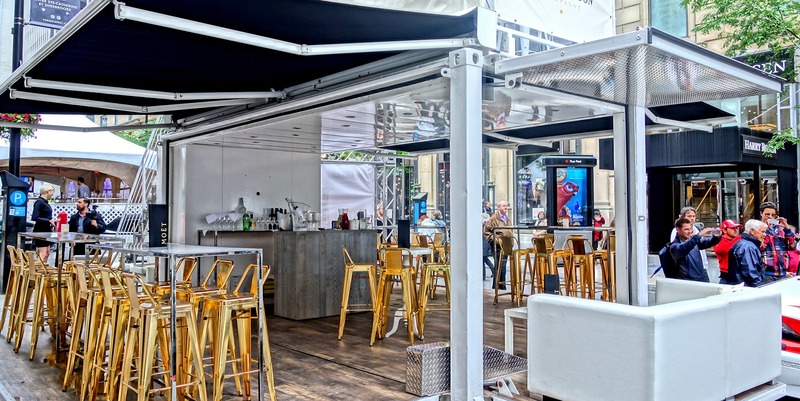 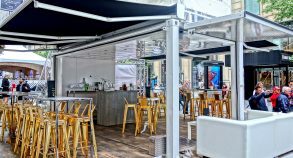 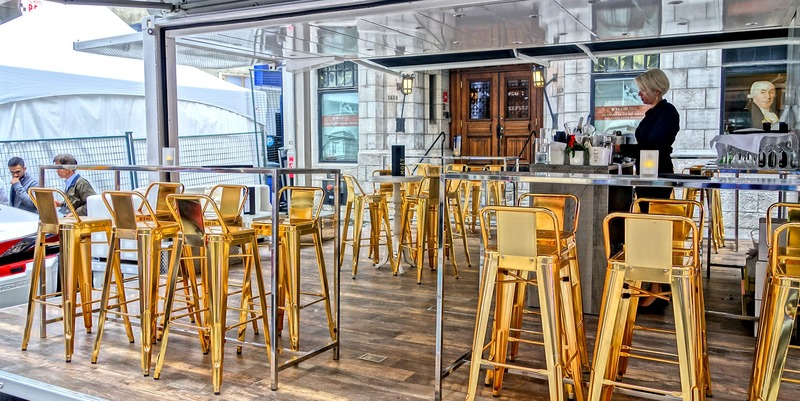 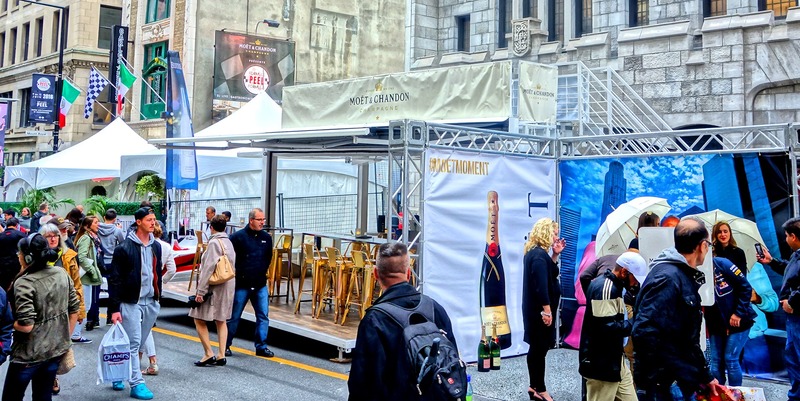 Moët et Chandon opted for a sleek and refined personalized SS20 container which was installed on Peel Street, in the heart of the main activities and surrounded by luxury cars, music and gastronomy in a sophisticated atmosphere. 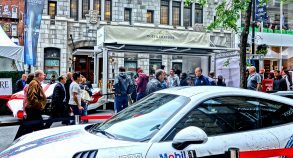 Some 250 guests enjoyed champagne tasting and fresh oysters while listening to the beats played by internationally renowned DJs. 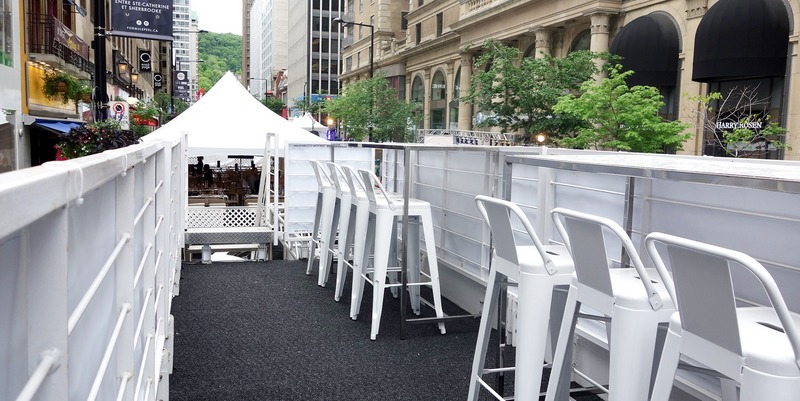 The terrace, equipped with sun loungers and parasols, allowed guests to enjoy one of the best views of all the urban action of the F1.